DALLAS, TX--(Marketwire - May 20, 2008) - Redrock Micro unveils the highly anticipated microMatteBox and microShoulderMount accessories for digital filmmakers that deliver cinema-grade light management and camera support at revolutionary prices. These new products build on Redrock's growing family of cinema accessories that enable digital filmmakers to create dramatic film-style footage using standard digital video cameras. 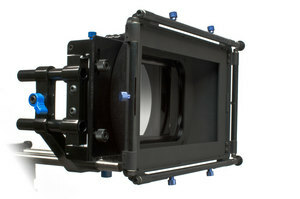 The microMatteBox starts at a remarkable $595, approximately 1/8th the price of comparable solutions. The Deluxe Bundle with eyebrow and side wings is $695. A Red One Bundle is $795 and includes native 19mm rod support. "After having worked with the microMatteBox myself, I think Redrock is going to take the market by storm," said Barry Green, Emmy Award-Winning producer and noted industry luminary. "The microMatteBox is amazing for the price." "Chalk me up as a believer," said Kendal Miller with FreshDV.com, a site that tracks and reports on emerging technologies for digital filmmakers. "Redrock has brought an incredible product to market. " The microShoulderMount meets the need for configurable, high quality handheld camera support at an incredibly affordable price. The microShoulderMount enables a wide variety of video cameras to be conveniently placed on the shoulder and balanced with handgrips for stable handheld shots. "Our customers have told us they don't want to compromise quality and features for affordability," said James Hurd, Chief Revolutionary for Redrock Micro. "The microShoulderMount is the perfect solution for a camera support system, whether you are shooting with the Redrock M2 35mm adapter or stock video cameras." The microShoulderMount Standard Bundle starts at $275, approximately 1/3 to 1/2 the price of comparable solutions. Orders are now being accepted for the microMatteBox and microShoulderMount at www.redrockmicro.com and through Redrock resellers. microMatteBox pricing starts at $595 and microShoulderMount pricing starts at $275. Redrock will be showing the entire family of cinema accessories at Cinegear Expo 2008 in Los Angeles June 19th-20th in booth 121. Redrock Microsystems delivers high quality cinema accessories for digital filmmakers at truly revolutionary prices. Redrock Micro's products are designed to enhance DV and HD/V cameras such as Panasonic, Sony, Canon, and JVC for true cinema-style shooting. At the heart of the Redrock family is the award-winning Redrock M2 Cinema Lens adapter, which creates the shallow depth of field, angle of view, and focus techniques typically only found in 35mm motion pictures. Additional cinema accessories include the microFollowFocus, microMattebox, microRemote (wireless remote follow focus), and microShoulderMount. Through a unique business approach of direct-to-customer and build-to-order, Redrock delivers the quality and features of premium solutions at a fraction of the price. This approach is ideal for independent filmmakers, owners/operators, film educators and students, and budget-conscious moviemakers. 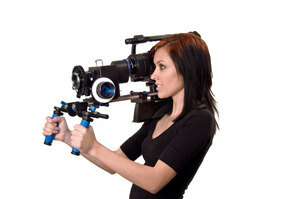 Redrock Micro has offices in Dallas, Texas, and Hollywood, California. Redrock Micro can be reached at info@redrockmicro.com and www.redrockmicro.com.